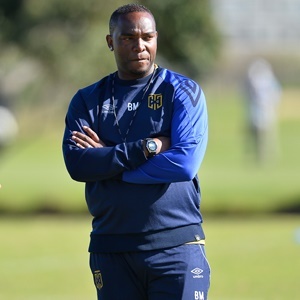 Cape Town - Cape Town City head coach Benni McCarthy says his side need to improve their concentration on the field of play if they are to compete for honours this season. Benni's recent comments were made after their 1-1 draw with league leaders Baroka, as the Citizens spurned their chance to move to the summit of the Premiership table. Former Atletico Madrid trainee Robin Ngalande opened the scoring with a spectacular left-footed drive ten minutes into the second-half before utility winger Craig Martin equalised 15 minutes later. And McCarthy feels his side need to get into a habit of being able to control the game for the entire 90 minutes, not just in short spells. "There seems to be a familiar pattern with us, a very good first half, but a poor second half, or a poor first half, but decent second half," he told reporters after the game. "Today we started like we were on holiday and still enjoying the international break. "We looked lethargic like we couldn't play football, and we were fortunate to still be in the contest at half-time. But they got a couple of boots up their arses at half-time, and the second half started a bit better until we conceded, and that's when we woke up and had a bit more urgency. "We deservedly got back into the game, and then I thought we were all over them and should have finished them off. But that's the story of Cape Town City's life at the moment, where we allow teams to score against us easily and we can't kill them off, so we threw away three vital points." City remains in third place, two points behind Bakgaga with a game in hand.